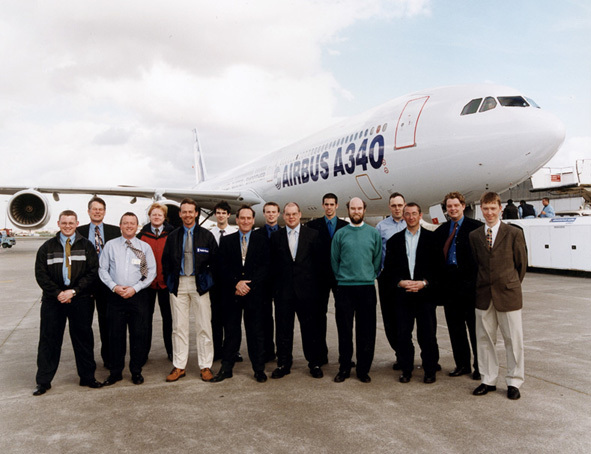 Trip to Airbus in Toulouse to install the Engine Monitoring System (EMS) and observe the first flight of the A340-600 on 23rd April 2001. From left to right Mike'the grad'Morell, Pete'Mad Dog'Summers, Steve Heath, Andy'Lefty'Wright, Dave Head, Andy Whinray, Dave'Corps'Field , Kris'the boy'Goode, Paul'no socks'Jennings, Chris Bevan, Nigel'Bald with a Beard'Charman, Glyn Fox, Chris'I had no time for sunbathing'Hargreaves, Rob Pendry, Robin Bryson. 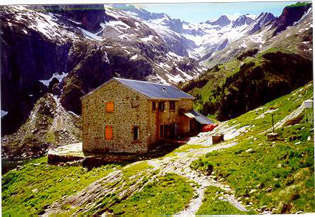 During the same trip Alan Deeley and I walked up to the Espingo Mountain hut in the Pyrennes. This is a my Rolls-Royce 'Design and Make' project from Summer 1981. It is a display stand for an RB211 fan. This is still in use in the Rolls-Royce exhibition Hall. 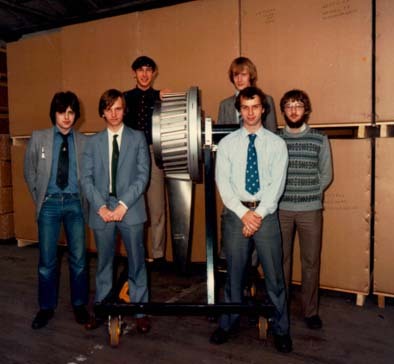 Present are Richard Smith, Duncan McCreadie, John Peet, Nick Bugg and myself. The question is why didn't someone tell me about the beard ?